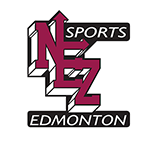 The NEZ Sports council is recruiting for a STEP (Student Temporary Employment Position) student for the 2019 summer baseball season. Reporting to the baseball director, this position will be primarily responsible for maintaining our baseball diamonds and completing project work set out by the director. The successful candidate must be self-motivated and have some knowledge in maintaining baseball facilities. This position will run from May 01 – August 09 – 2019. We thank all applicants for their interest in this position. However, only those selected for an interview will be contacted.